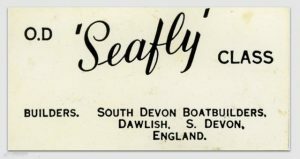 The first Seafly builders, and owners of the design rights, were South Devon Boatbuilders (SDBB) situated at Iddesleigh Terrace, Dawlish, Devon. 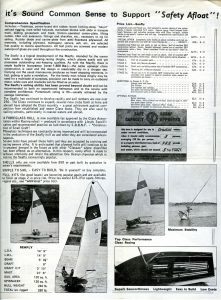 By the start of the 1960’s SDBB seems to have been a partnership between S.J. Herbert and J.V. Kelley. 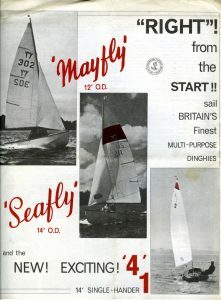 John Kelley was the designer and original builder for the Mayfly dinghy and the Seafly was designed by Kelley for SDBB as a larger version of the Mayfly. 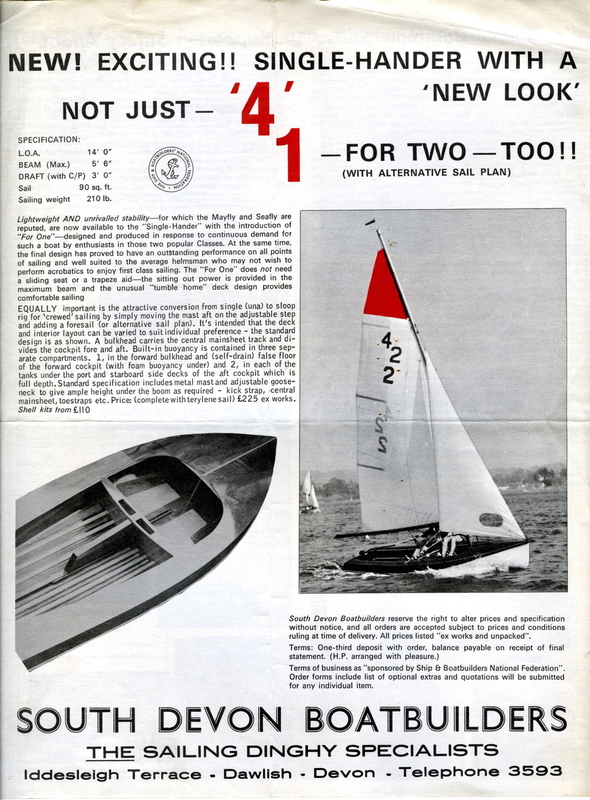 Run by Stan Herbert, SDBB were responsible for establishing the Seafly as a “One Design” dinghy class. Construction was in wood until the first GRP hulls began to appear at the end of the sixties. South Devon Boatbuilders also supplied building kits and many of these went overseas including to Australia, Canada, Papua New Guinea and Ireland. Licences were granted for professional construction in Australia and Ireland. 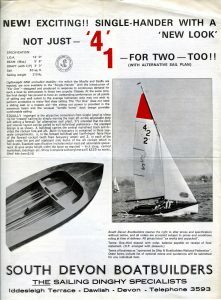 Altogether they allocated some 130 sail numbers to overseas boats, mainly in Australia. 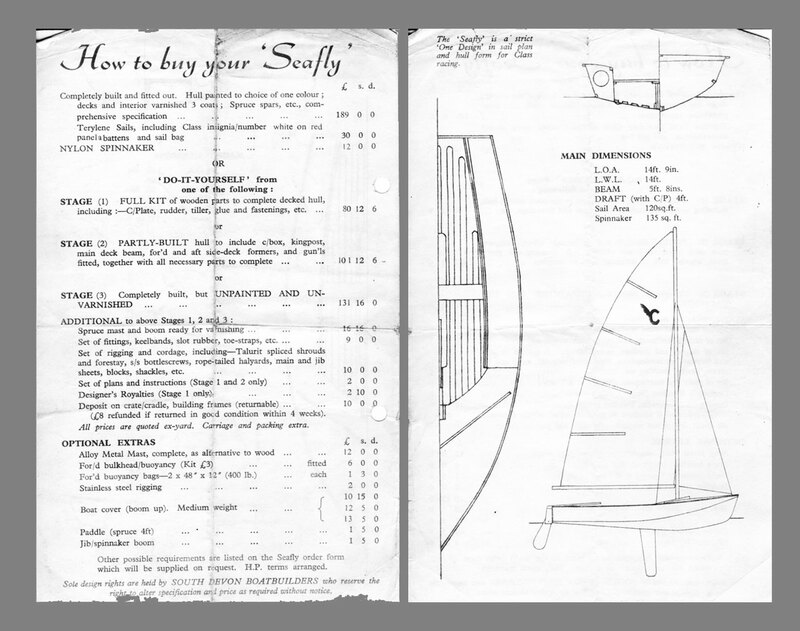 South Devon Boatbuilders maintained close control over the design copyright and within the UK, Moores of Wroxham were the only other professional boat builder granted a licence to build Seaflys. This may well have been a factor inhibiting more widespread adoption of the Seafly by sailing clubs during the 1960’s, the prime time for establishing a new dinghy class. 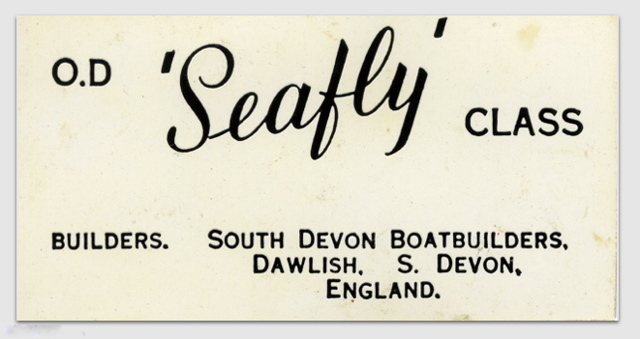 John Kelley was my dad so it’s great to see his name on your website and the information on South Devon Boatbuilders. I always remember him as being very good with wood and his hands, he even built a family dinghy for us which I remember the varnish drying on in the front garden. 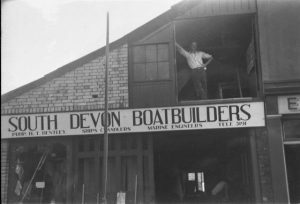 As I recall Dad was in partnership with Stan Herbert at South Devon Boatbuilders; Dad did the designs and builds, Stan did the rest including ordering the materials. This is where the problems started, apparently Stan over ordered by a large amount and they couldn’t pay for it which led to the demise of the business, such a shame. After the business closed Dad never really settled in another job and did many different things from furniture restoration to working in a care home as a nurse (special needs as it is called these days). He eventually went travelling and spent his last few years in India. 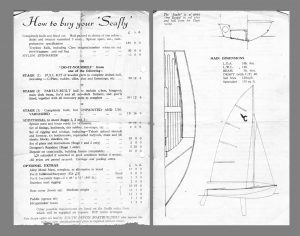 All of Dads brothers (2 of) were also keen on boats etc and I think it was Peter Kelley that also had a boat builders at Starcross, I remember going there in the 80’s, although they didn’t have the natural flare for design that dad had. Because of the financial problems, SDBB were sold in 1969. Stan Herbert entered partial retirement but remained much involved with the Seafly Class Association. 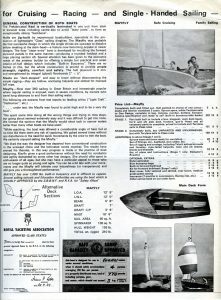 SDBB ceased trading in 1974, Arthur Edwards of Zygal Boats in Whitstable, Kent, obtained a licence to build the Seafly in GRP . 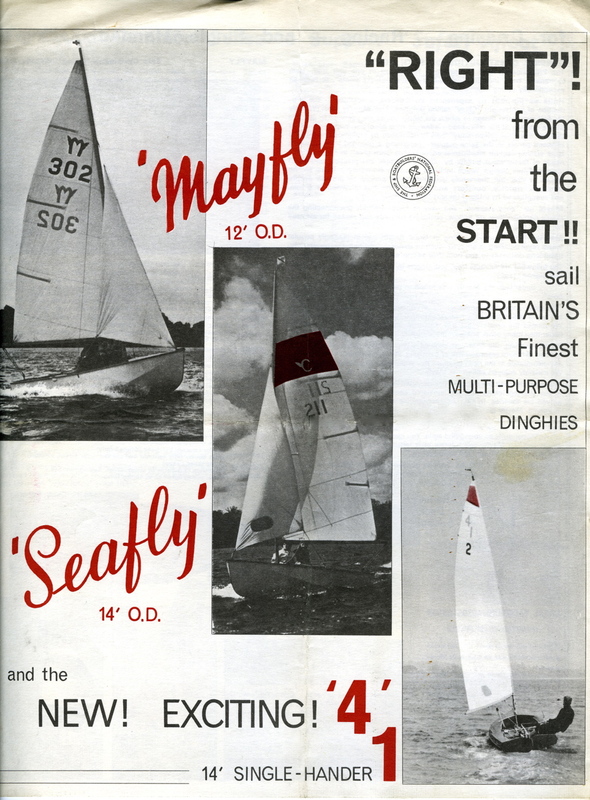 Below is a brochure from South Devon Boatbuilders offering the Seafly, Mayfly, and a single-hander, the “‘4’1” which later became the “Seafire”. 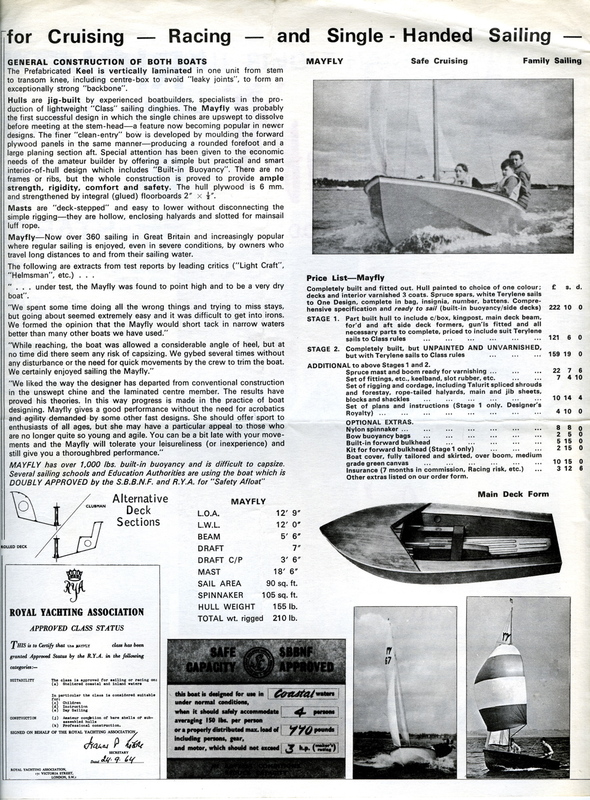 Both wood and GRP versions of the Seafly are offered suggesting that the brochure dates from the late 1960’s ( view PDF file 852kb).